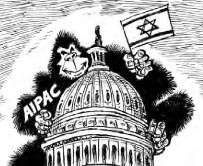 The best Congress AIPAC can buy…. Mubarak is afraid…… very much afraid! Any analysis that contains a reference to SNL as a source of an informational portrayal of reality surrounding the circumstances of a pending revolution (and these kinds of analysis are ubiquitous on the Internet) -is but drivel- in the fullest extent of that word. I find it very telling this morning that Israel is reported in al Jazeera as supporting Mubarak. Who staged this signaling-portraiture-event? People are fools, and given enough time they’ll prove it to themselves by cutting off their own fingers or poking out their own eyes. A whirlwind of change is being fostered. That much is clear. Mubarak is about to descend the throne due to old age and ill-health, and suddenly as if to presage some well-calculated event -a whirlwind of change is blowing up out of the desert. When the dust settles from this obfuscating storm, it will do no good to go looking for your fingers or your eyes, nor to reach for your back pocket to see if your wallet is still there. Hosni Mubarak is a despicable creature of the possible. The “revolution” is clearly -only the daughter of the impossible. What happened to Martin Indyk, did he have a Road to Damascus moment on Fareed Zakaria? He called Mubarak “dead man walking”, said the US is “behind the curve” on Egypt, and called for Mubarak to leave immediately, and much more in the same vein. Couldn’t believe my ears. And then there was zombie Tony Bliar calling for “managed change” in Egypt from Jerusalem, and still waving the spectre of the Muslim Brotherhood. Yeah, “managed” meaning managed by Israel. Why is the Quartet wasting their money on a salary for this undead zombie? Preserve stability? Don’t they mean preserve tyranny? Yup! Zionist doublespeak: stability is a euphemism for tyranny. Just like «Israel’s right to defend itself» is a euphemism for «ethnic cleansing» and «peace talks» is a euphemism for «bullshitting while we multiply settlements». Don, why is it that you show up like a wheeling vulture to dump all over the comments section of every thread on this subject of Egypt? Your cynical pronouncements of doom are getting highly repetitive. If you’re trolling, it’s not working. If you’re genuinely trying to contribute, perhaps a little tact and diplomacy might be in order, hmm? ‘How many years can a man turn his head and pretend that he just doesn’t see’? Funny, but in these troubling times I never seem to be able to find any words of wisdom, guidance, encouragement from the person who wrote that quote.. I just hope whom ever becomes the leader of Egypt they won’t be as bad as Mubarak or worse. I hope they won’t be just another puppet of israel and the U.S.
Had Mubarak stood up for Gaza and not helped israel to murder Palestinian people he might not be going through this right now. He could have been a hero to Arab people every where had he not helped Israel attack Gaza. Before Mubarak was leader of Egypt the entire Arab world looked up to Egypt. But ever since Egypt took the US bribe and signed a peace treaty with israel Egypt has been nothing but shamed. So has Jordan, which I believe is not to far away from an up rising also given that 80 percent of its population are Palestinian people. I really believe we are wittnessing the Arab world finally uniting. GAME OVER ISRAEL HOMELAND FOR THE JEW AND THE JEW ONLY. Every Arab in his and her’s heart has always known this is the only way that the zionist regime can ever be defeated. My dearest hope is that is what we are all starting to see now. Stand up Arabs! You can do it! You have always been meant to lead. i think most of the arab world, esp the egyptians, hated sadat. he sold out egypt, the palestinians, and the arab world so that he could be hailed and celebrated by his white masters. mubarak continued egypt’s descent into subservience to israel and the west.